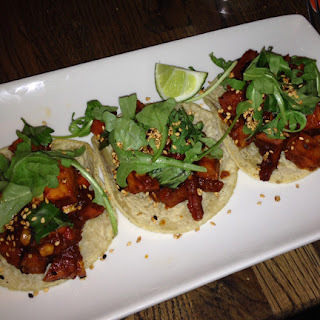 last saturday, josh & i made a somewhat impromptu visit takito kitchen over in wicker park on w. division street. un poquito about takito ... "takito kitchen features mexican-inspired cuisine ... seasonal shared plates, ceviche, tacos, soups & more with a focus on fresh ingredients and complex flavors, all tucked inside a homemade tortilla." lime, agave, chipotle, morita, cointreau, corazón blanco. wow, yum. i love spicy, so i was super excited about this. delicious &, more importantly, strong. tomato hibiscus ghost pepper : tomato, onions, garlic, hibiscus tea, ghost pepper, cilantro. seasonal escabeche : pickled vegetables & chilis. seasonal smoky salsa : lo siento, i don't remember the ingredients. tomatillo pistachio : tomatillo, roasted onions, roasted garlic, pistachio, roasted serrano chile, arugula, cilantro. 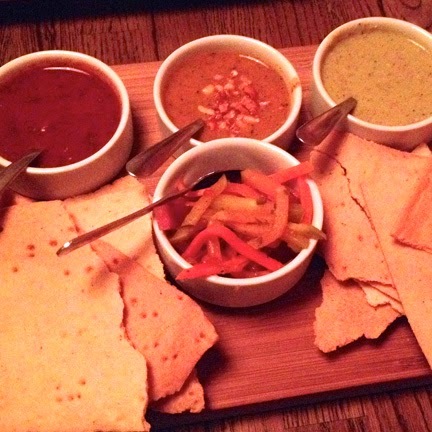 in all honesty, all the salsas were super sabroso. buuut i wasn't obsessed with the masa crackers. for me, i want some crunchy, salty tortilla chips when i am eating salsa. these were almost graham cracker-like. don't get me wrong, i still snarfed. pickled garlic, jalapeño & cilantro. 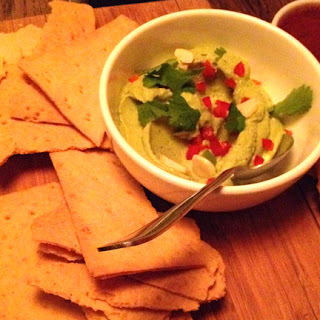 code for fancy guacamole in the best way. this was awesome. and i thought the masa crackers were better with this than the salsas. don't know why ... the real win, though, occurred when we mixed a bit of this + the ghost pepper salsa. corn torilla, roasted vegetables, seasonal salsa, sesame & arugula. the fact that there is a pre-vegan-item on the menu all the time makes takito generally amazing in my book. these were good ... my only issue was the inclusion of a sweet potato/squash type. i mean, i get that the tacos are seasonal, but i just decided i am not a big fan of those veg, in general. otherwise, perfection. 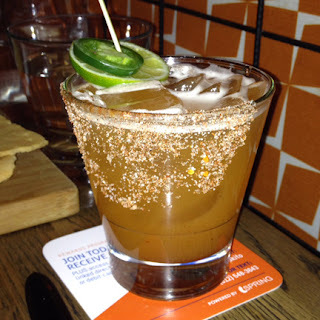 takito is a great, casual spot for lunch, dinner ... and most certainly drinks. i plan to try the cucumber margarita next time. if you find yourself in the area, i highly recommend.